…well, a “really long time” in Internet years. When I click “Publish” on this post, WordPress will cheerfully tell me that it’s the 552nd post that I’ve written since February of 2008, which is when I took Beth Hayden’s introductory blogging class and decided to give it a go. So my blog will be six (awww… it’s growing up so fast! ): it gets about a thousand visitors on most days and has won a couple of awards, so I guess I’ve gleaned a few tips along the way, for anyone who wants to create or invigorate their presence in the blogosphere. How do you keep flapping your lips (or I guess, your fingertips) for 552 posts that at least some people seem to want to read? Pick a topic that you really, really like to talk/write/read about. Here’s how you know I need to get out more: I actually have more ideas for this blog than when I started, and it’s really only limited by my available time. I really want to do a series of video interviews, like Live from Daryl’s House, but with translators–and you just found out about one of my secret addictions, so I should probably move on. Reader questions could provide inspiration for at least 552 more posts; I feel like I should do more with topics that relate to translation technique, research skills, how do you know when you’re OK at this job, and so on. As a counterpoint, I frequently get asked to write articles for translation clients/buyers. 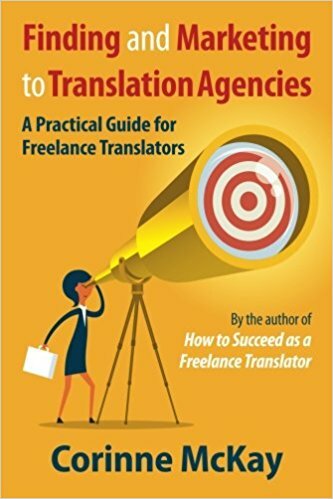 And once I get beyond the basics (how to set the project up for success, what to do before contacting a translator, how to choose between a freelancer and an agency), I kind of draw a blank. I sure couldn’t write 552 articles that clients would want to read. Why? I don’t really know why; I just like to write about topics that other freelancers can relate to. Write something substantive, at least once in a while. I’m not opposed to the occasional post that consists of links, a contest, a request to vote for the blogger for some award, a reblog from another site, etc. But lots of blogs are 96% that stuff and 4% original, substantive stuff. It’s OK to be kind of low-rent. This blog still uses the exact same template and technical platform as the day I launched it. I still spend the grandiose sum of maybe $25 a year so that it has its own domain name and a custom header image. It wouldn’t be outside my budget to hire a designer to make the site more commercial, and shoot a popup in your face every time you arrived here, or stick some ads in the sidebars, or put buy buttons on here for my books and classes. Partially I’m too cheap and lazy to do that, but partially I think that the site’s emphasis on content shows the truth of it: that I really write it not to make money, but to share ideas with other people and provide an outlet for my own writing. Just keep on clacking the keys. If you’re in blogging, or any kind of writing, for the long haul, sometimes you’ll feel inspired and sometimes you won’t. Sometimes I write posts that I think are really hot, and no one except my mom seems to notice them. Sometimes I write posts that I think are relatively basic, or even boring, and they go viral. So, as long as some people seem to like what you write some of the time, just keep on churning and some of it will stick. Keep in mind that it’s the Internet. I don’t write about particularly controversial topics, and I’m a pretty mellow person who gets along with most other people, mellow or not. But when you put your writing out there for anyone to see, people are going to rip into you in ways they haven’t since middle school, unless you went to law school, and in that case your skin is way thicker than mine. Fairly routinely, people comment on my blog and tell me I should take posts down, or that my advice is reckless, or based on my own experience which isn’t representative (probably true), or that they used to like me/want to sit at my lunch table, but now they most definitely do not. And I have one thing to say about that: it’s the Internet, folks. Just as I got to blow off some steam by writing a one-star review of the $800 washing machine that we ended up trashing just after it went out of warranty, people get to say whatever they want on my blog. And as long as it’s not totally off the wall, I publish it. I could go on…but after 552 posts, you probably need a break…I sure do! Thank you for sharing that you don’t like to write for non-freelance audiences. It’s tempting to do things just because you get asked — it’s flattering after all, but it’s good to know that the pros don’t necessarily do it all. Dear Karen, thanks for the inspiration. As a relative newbie (my blog is one year old), it helps to hear more a experienced blogger repeat the basics, and to see that perhaps I am not totally off track. SR&T, Jonathan. At least it shows how well DNS works. Keep on biking! Woo, Live from Daryl’s House! Great post, Corinne – and I agree whole-heartedly. I’ve only been blogging (on a much smaller scale) since January, but I’ve found it very rewarding and lovely to get feedback, good or bad. Yes, the bad has been scary (how can people be so nasty?) but I suppose if you “go public” with your thoughts, you have to expect that some people will take exception to what you say. I think the main thing is to keep the discussion ball rolling. All I can say is Thank You – not original, but true. Keep on typing. I really admire you for having written so many posts. I have been blogging for a year or so and the most difficult thing for me is to find inspiration for posts that are not only interesting to me, but also to my audience.